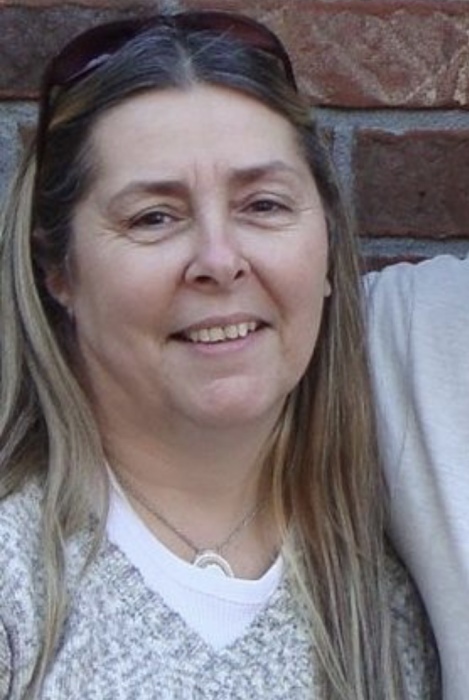 Rebecca Kay Burkhart age 61 of Pennington Gap, VA was born Sunday, March 23, 1958 in Kokomo, IN and passed away Monday, March 25, 2019 at the Holston Valley Medical Center in Kingsport, TN. She was preceded in death by her husband Dan J. Burkhart and father Louie Brewer. Rebecca is survived by her fiance, Jerry Richard Parsons of Pennington Gap, VA, mother Patricia Brewer of Kokomo, IN, two sons Evan Hildebran and fiance, Molly Sanders of Gainsville, FL, Joseph W. Burkhart and wife, Jennifer L. of Muldraugh, KY, one daughter Ashlee Hildebran of Logansport, IN, she was a mother to Jesse Aaron Parsons and wife, Sakorra of Big Stone Gap, VA, three grandsons Nolan J. Burkhart, Samuel J. Burkhart and Brantley W. Burkhart, two granddaughters Kassidey E. Burkhart of Muldraugh, KY and Trinity Lacey of Augusta, GA, one sister Regina Hester of Kokomo, IN and her special friend Renae McGill. Visitation will be from 4:00 to 6:00 PM Thursday, March 28, 2019 at the Greater Outreach Church of God in Pennington Gap, VA. A memorial service will be held at 6:00 PM Thursday with Pastor Roy Webb officiating. Memorials and condolences can be sent to the family by visiting www.provincefuneralhome.com We are located at 42098 E. Morgan Ave. Pennington Gap, VA 24277. Phone 276-546-2456 Province Funeral Homes are honored to be serving the family of Rebecca Kay Burkhart.